Sister Arlene Kohut, OSF grew up in the small town of Waverly, Ohio. Two of her sisters were 11 and 16 years older than her and so her companion was her twin sister, Carlene. They would go on long bicycle rides, stopping to pet the neighborhood dogs, and play badminton in the backyard. Their mother taught them how to play piano and music was instilled in the girls at a very young age. “Toward the end of high school, I remember talking with Carlene about what career we wanted and we decided to study nursing and went to the same school in southern Ohio,” Sister Arlene said. It was during this time that Carlene became interested in religious life. “I wasn’t thinking about religious life at all. I was enjoying dating and living on my own too much,” Sister Arlene said. While her twin was researching and visiting communities, Sister Arlene resisted the idea, finished school, and worked for a year in a hospital. "Religious life is more about community life and a relationship with God...not just about giving things up." “I didn’t want to give up my independence but the idea was slowly becoming a call to the vocation of religious life. I noticed a pamphlet in the back of a parish church and it led me to focus on the positives of community life and deepening my relationship with God rather than on what I would be giving up,” Sister Arlene said. The twins started visiting Communities and the experience with the Hospital Sisters was memorable. “The community life and spirituality drew me and I entered in the Fall of 1979,” Sister Arlene said. The Community’s charism of healing has been a common thread in Sister Arlene’s life, beginning with her desire to study nursing in order to help people. After working in the nursing profession for several years, Sister Arlene began a discernment process about her ministry and was led to develop her love of music. 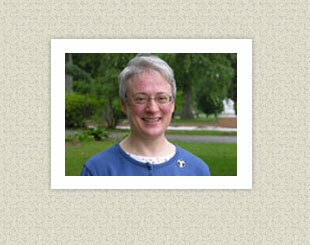 After studying in Wisconsin, she served as the Motherhouse liturgy director and musician. “I saw church music as taking part in my Community’s healing charism, especially during special celebrations of Jubilee or community anniversaries, or celebrations of a sister’s life and death,” she explained. About ten years later it became time for another change and she discovered a love for pastoral ministry in hospitals and enjoyment of theological study. After two years of study at Aquinas Institute of Theology and Clinical Pastoral Education in hospitals in St. Louis, she’s beginning her ministry by working nights in two hospitals in St. Louis as a chaplain and preparing for a certification interview. “I’ve found that all of my life experiences, both joyful and painful, have prepared me for this ministry of healing, as well as my background in nursing and liturgy and my community life,” she added. The greatest change since entering the Community has been in the experience of the community’s internationality. There was a time when the American Sisters had minimal contact with the Sisters from other provinces and now the experience has become very different. Sister Arlene’s pilgrimage to the Community’s birthplaces in Germany and Franciscan sites in Assisi, Italy has deepened her love of what it means to be a Hospital Sister. In meeting the other Sisters and seeing how some minister together in Haiti and Tanzania, she feels a tangible connection with our Sisters around the world. God has led Sister Arlene through several twists and turns in her life but there’s a lesson to be learned and that is faith. As people discern about their path in life, Sister Arlene’s example of trusting in God and following that path is something to remember. As for her twin sister Carlene? She works as a nurse and although the instigator for pursuing religious life, she is married and now has a nine year old daughter.